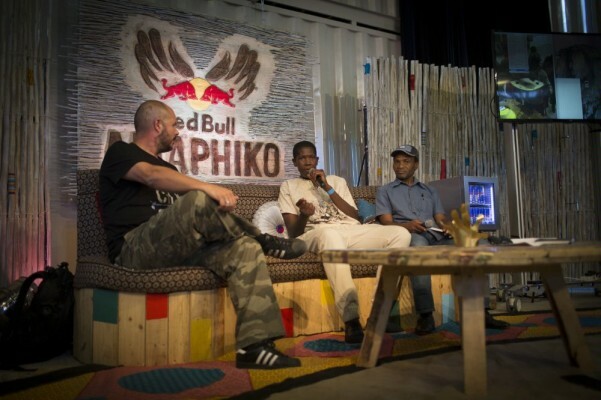 Sixteen young South Africans who have created innovative solutions to solve social problems within their communities have been immersed in the second Red Bull Amaphiko Academy from 30 October to 8 November 2015 at Langa’s new Gugu S’Thebe Theatre. The Social Entrepreneurs were mentored in a collaborative environment that equiped them with knowledge and hands-on tools to take their projects to the next level. Each day of the Red Bull Amaphiko Academy started off with a lecture by international or local experts – helping participants delve deeper into their self-discovery, potential and imagining their project trajectory. In the afternoon the participants had a chance to spend one-on-one time with mentors and tutors for practical learning. They also had the opportunity to develop and tell their own stories in a fully equipped studio - with expert editorial, advertising and communications tools and teams at their fingertips. As the second contingent of Academy participants, the 2015 participants were able to pick the brains of the alumni from the first Academy, which took place in Soweto in April 2014. The 2014 Alumni included Thato Kgatlhanye (upcycled solar backpack project), Yonela Khetsheza (Feminique Fitness Club - aimed at the women in the townships battling with mental, physical and emotional fitness) and Zakheni Ngubo (mobile phone application to assist schoolchildren with learning solutions). The 2014 participants have seen some huge successes over the last eighteen months with Thato Kagtlhanye’s project mentioned by Bill Gates on Twitter and Zakheni Ngubo being invited to an exclusive conference with Richard Branson on his private island. In celebration of the Academy and the community of Langa, there were a series of public-facing events to get the surrounding community involved. These included a solar-powered film screening with Sunshine Cinema, a photography exhibition by Martha Cooper and a series of open to the public workshops on the topic of turning talent into sustainable business. 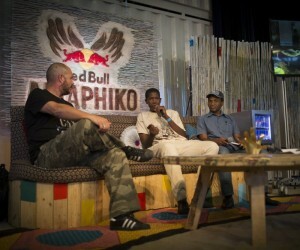 Red Bull Amaphiko is a programme to support social entrepreneurs who are using their creativity and entrepreneurial spirit to make a difference in their communities. It also aims to inspire a broader audience of young people to do the same.